To celebrate my 54th Birthday this past week, I took a group of friends to see my favorite band--The Steeldrivers--play a show at Bell's Brewery Eccentric Cafe Beer Garden. As I've written numerous times before, The Steeldrivers were one of the main reason's I got into bluegrass music and their first eponymous album was the very first bluegrass album I ever bought. That album of entirely original music by the band members; richly steeped in the traditions of bluegrass--acoustic instrumentation, haunting vocal harmonies and songs able to tell real stories...the good and the bad in us all...through thoughtful, though not-always-comfortable, lyrics set me on a musical path that has taken me to some amazing places and introduced me to some incredible people. As I valiantly tried to wear out that black painted CD in my car's radio, the music of The Steeldrivers left a lasting mark on my musical soul and helped me define the "Semibluegrass" sound I have been searching out ever since. How do you describe The Steeldrivers sound--an experience I once heard bass man Mike Fleming refer to as "A Night of Uneasy Listening"? It is first-and-foremost entirely original, both from the standpoint of every Steeldrivers song being written by a member of the band, and because each of these songs is instantly recognizable as a Steeldrivers song upon first listen. While based on traditional bluegrass instrumentation, structure and chord progressions, a Steeldrivers melody plays loosely and freely within these rules, drawing on the not only the old-time mountain sounds, but also the folk, blues and soul traditions to create captivating, soul-drenched grooves capable of carrying the emotional drama of songs about love, loss, liquor and longing. It is this down-to-earth connection with the everyman that makes these songs instantly relatable the broad cross section of humanity that make up The Steeldrivers fan base. The show this night took place in a truly unique setting. The Beer Garden at Bell's Eccentric Cafe is something that must be seen in person to be appreciated. A fenced in grassy area adjacent to Bell's Brewery, the Beer Garden has a small, roofed wooden stage, a world-class sound system, and an LED lighting system worthy of any 70s era arena rock band. Tammy Rogers ended the night by saying "this is one hell of a back yard you've got here!". Indeed, that back yard feaures plenty of flat, grassy areas to stand boasting great views of the stage, with lots of shady spots, and interesting corners to hang out in. Access to the Brewery, bar and restrooms was convenient and nearby, with a second bar--featuring Bell's award-winning brews--near the stage. There was also an excellent BBQ table set ups next to the bar--serving right up until the end of the show. One of our party got a pulled pork sandwich--an excellent value and huge portion for the price--and pronounced it just the thing to pad the stomach before another of Bell's excellent brews. Access is direct through the parking lot. There was little to no wait for ticket bearers with plenty of staff available at the gate. A thorough, yet courteous, check of bags on the way in--coupled with numerous and visible security throughout the venue--went a long way to a creating a sense of safety and security and allowing the fans to relax without fear of something happening to ruin the evening. It is rare to find such professional and courteous staff at live music events now days, and greatly appreciated by us music fans for sure. Nothing Better than Live, Local Music! Music is always at it's best when performed live, and there is nothing I like better than to see it performed by a band where every person on stage obviously enjoys playing with their bandmates. When the passion and enjoyment of the music is evident on their faces, it instantly connects them with their audience and allows each to feed off the emotion of the other. Nowhere is this more evident than in this most currently lineup of The Steeldrivers. From Mandolinist Brent Truitt's spontaneous "Yeah!" after a particularly nasty (in the good way) fiddle fill from Tammy Rogers; to the look of amazement on Vocalist Kelvin Damrell's face when he is able to channel his inner Chris Stapleton on a first-album classic; through the crazy grin on Banjoist Richard Bailey's face as he unleashes another string-warping, blues tinged break; and ending up with Bassist Mike Henderson--dark glasses on, eyes closed, head back, smiling--grooving to his bandmates as he plays. Somehow, the band's final output becomes more than the sum of it's individual parts, and transports the audience to a higher plane of melody, rhythm, drive and storytelling. 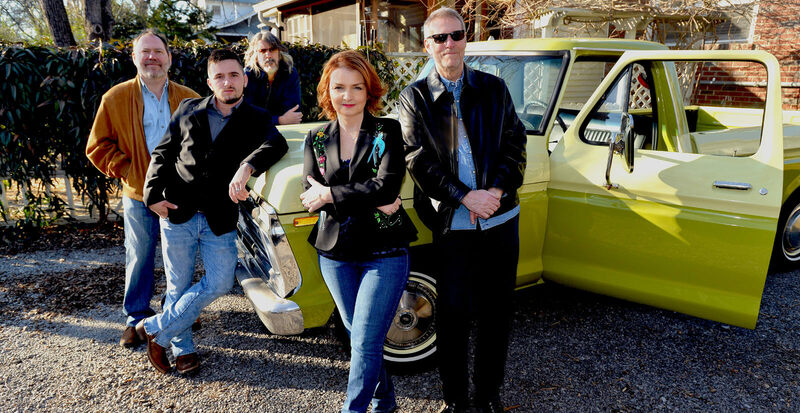 One critical piece of The Steeldrivers experience has to be the contributions of Tammy Rogers. 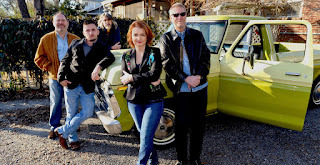 A prolific and talented songwriter in her own right, her unique, agressive and throaty fiddle playing is a cornerstone of the band's sound, as is her incredibly powerful and richly colored harmony vocals. Both her and Flemming have very unique approaches to their harmony singing and they tend to break the Root-Third-Fifth arrangement more often than they stick to it, giving their voices an often dark, always soulful edge leaving the listener feeling at the same time satiated, and awkwardly disturbed. She shares the emcee duties with her bandmates and her quick wit and sense of humor are easy to see. Always classy, yet relatable, you get the feeling that she would be just at home at a fancy dinner at a five star restaurant, or swilling down a cold PBR in a dark, loud Nashville bar listening to honky tonk music. Another key part of The Steeldrivers sound is the crazy, string-bending antics of boyhood chums Richard Bailey on the five-string and Brent Truitt on the mandolin. Throwing down lick after lick more customarily heard on a Nashville telecaster than in a bluegrass show, these two continue to break ground when it comes to bluegrass breaks and fills, pulling from the worlds of electric blues, rock and country to punctuate the lyrics and melodies of the songs. You can see them on stage trading grins and licks trying to one-up each other with another feat of bent-string gymnastics. Sure, string-bending and the "blue note" are a big part of the banjo library, but Bailey continues to innovate and really has established a unique sound. His smile and goofy grin bring a little levity to the set (especially when he crouches down to say something through his instrument mic). When talking about innovation and string bending, the same can surely be said of Brent Truitt. Lately, he has been playing a custom Gibson F5 mandolin that has been given the "Gold Top" treatment. A fine-looking instrument worthy of any rock star, Brent claims (and I agree) that he plays that mandolin for the way it sounds, not the way it looks! That mandolin is LOUD, both on it's throaty, woody chop, and on it's crystal-clear, single note leads. Brent has his own unique style of playing mandolin--the way he varies his chop, adds double stops and rakes to his fills and even the way he uses the spaces between the notes. However, the most notable thing about his playing is obviously the way he bends the strings into bluesy phrases--often a full step (or more). This feat is hard enough with the doubled string courses of the mandolin, but Truitt manages this using very heavy strings to boot (I think he said they start at 11.5 gauge!). When asked how he does this, he modestly admits "well, I've played a lot of telecaster over the years". Truitt invited me to the this show. He still remembers the first show I saw and reviewed way back in 2013 and saw me from across the yard after the show calling me over to say hey and catch up a little. As we talked, I watched him talk to all the fans that came up, genuinely interested in what they were saying and giving them all the time and attention they deserved. And the same can be said for all The Steeldrivers; they genuinely like and appreciate their fans. I would be remiss if I didn't at least mention "new guy" Kelvin Damrell on guitar and lead vocals. With the departure of former frontmen Chris Stapleton and Gary Nichols, the band went looking for someone to take their place. Ex-contestant on The Voice Adam Wakefield filled in admirably while they looked. Apparently, Tammy Rogers' daughter found Kelvin on YouTube doing a Chris Stapleton cover and the band asked him to audition. He is able to cover Stapleton's signature sound to a "tee", and just as easily can sound like Nichols. However, he ALSO sounds like Kelvin Damrell--and that's a good thing, as his voice is incredibly nuanced and flexible, able to dig down in the dark, bluesy mud as well as soar to the heights of crystal clear melodies. He is also a fantastic rhythm guitarist with a somewhat unique-yet-driving approach. Unlike his predecessors, he is more apt to take a solo break during a song, and this is where he really stands out. Blending Rice-style flatpicking with some great, melodic double- and triple-stop licks, blues riffs and even some Spanish? guitar licks, he has a unique sound that somehow pairs perfectly with The Steeldrivers songs. I look forward to seeing what he does with the band and how their sound and stage show evolves with him at the reigns. Just Some Dorky Dude. And Truitt. So why are The Steeldrivers my favorite band? Because they have such a unique sound? Because they sing songs about real life and real struggles? Because they're all insanely talented songwriters, producers and musicians? Or because they're just good "people"? You be the judge. Go see them on their upcoming tour and tell them "John the SemiBluegrass Guy" says "Hi!". Like what you read? Follow us on Facebook.